Hi all, I'm off! Yes you knew that already, but now I'm really off ... off to Kazakhstan, to give a talk at the ASTEX 2014 conference next week. 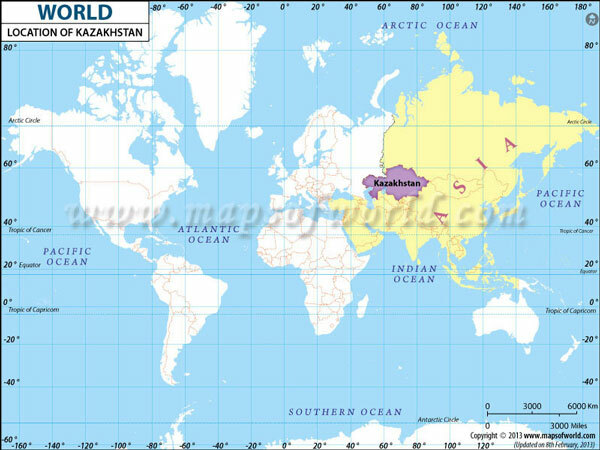 So, where is Kazakhstan? Yep, it's huge, and it's directly in the middle of Asia, right between Russia and China. I'll be in Astana, the capital city, which is right in the middle of the country. I'm so excited, I mean, how often does someone invite you to give a talk in Kazakhstan?